The Court of Appeals of Wisconsin, District IV has ruled that a police officer had probable cause to arrest a man who was suspected of possessing illegal drugs. 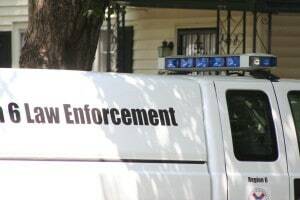 In the unpublished case, a man was charged with possessing marijuana, possessing cocaine, and illegally carrying a concealed weapon after local police stopped his vehicle, handcuffed him, and searched the car while simultaneously executing a search warrant at his Beloit residence. Following the man’s arrest, he argued the police officer did not have sufficient probable cause to search the automobile or support the arrest. The trial court held a suppression hearing on the matter. At the hearing, the arresting officer testified that he received reliable information from multiple sources, including a confidential informant, that the man was selling prescription drugs. The law enforcement official also stated he found prescription medication receipts with the man’s name on them and marijuana stems in the trash outside of his home. The police officer testified that he stopped the man’s vehicle after he witnessed him leaving the residence immediately prior to executing the search warrant. The officer apparently notified the man that police were executing the search warrant and placed him in handcuffs. Next, the officer searched the man’s automobile and uncovered the drug evidence at issue in the case. At the hearing, the State of Wisconsin acknowledged that law enforcement officials may not conduct detentions while executing a search warrant unless such arrests are made in the immediate vicinity of the premises to be searched. The State then argued the officer had probable cause to stop the man and search his car. The trial court ruled that there was probable cause to arrest the man and denied his motion to suppress the drug evidence. Ultimately, the man was convicted of the drug and other charges. On appeal before the Court of Appeals of Wisconsin, District IV, the man argued the police officer lacked probable cause to arrest him. According to the court, probable cause exists when the totality of the circumstances are such that they would lead a reasonable law enforcement official to believe a defendant more likely than not committed a criminal act. The court added that such an inquiry is a question of law that must be reviewed by an appellate court de novo, or beginning anew. After examining the evidence, the appellate court held the officer had probable cause to believe the man possessed marijuana, based on the information contained in the search warrant for his residence. The court also stated the man had just left the premises, where small amounts of marijuana were uncovered in recent days, prior to being arrested. The court added that the confidential informant’s reliability was demonstrated by the officer’s independent corroboration of the information provided. Finally, the Court of Appeals of Wisconsin, District IV affirmed the judgment of the trial court. If you were charged with a drug crime in Wisconsin, you should discuss your rights with an experienced criminal defense lawyer as soon as possible. To speak with a hardworking Milwaukee criminal attorney today, contact the law offices of Reddin & Singer, LLP online or give us a call at (414) 271-6400.